Click here to visit the Bic facebook and like them. Then on the “Endless Summer” tab, click “enter now” towards the bottom. Then just fill out the form to enter their sweepstakes. 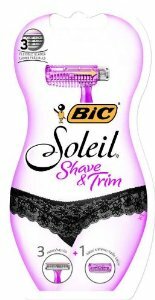 200 winners (10 per day) will each receive a free BIC Soleil Shave & Trim pack. You can enter this one daily through October 11th. Good luck!